Hundreds of passengers were winched off the Viking Sky by helicopter, one-by-one, as winds howled around them in the dark of night. Struggling in heavy seas to avoid being dashed on the rocky coast, the ship issued a mayday call Saturday afternoon. Horgen said he knew something was badly amiss when the guests on the heaving ship were summoned to the vessel’s muster points. 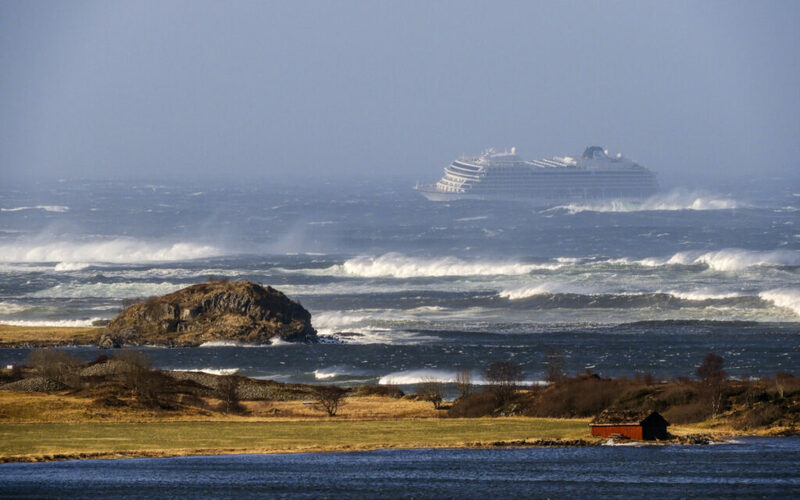 The ship was within 300 feet of striking rocks under the water and about 3,000 feet from shore when it stopped and anchored in Hustadvika Bay so passengers could be evacuated, Coast Guard official Emil Heggelund told Norway’s VG newspaper. Norway’s Joint Rescue Coordination Center stepped in, sending in five helicopters. Passenger Alexus Sheppard said that people with injuries or disabilities were winched off the cruise ship first.